One year ago I wrote the article:” If you control your breath, you control your life”. This sentence can sound obvious and exaggerated, but in reality is true. I saw it by myself in differents situations of my life, and I helped other people to experience it on themselves. And everyone told me the same: the power of breathing is amazing. What is really incredible for me is how much we forget about this power. Everyone knows that breathing is the key for living; a human being cannot live, without breathing, more than few seconds (or minutes for trained people). But we do breath automatically, unconsciously, without paying attention. It is incredible how much we ignore about the process that keep us alive (like breathing or eating). PAY ATTENTION TO YOUR BREATHING CAN BECAME THE BEST TOOL YOU HAVE EVER TRY TO CONTROL YOUR STRESS AND ANXIETY. IN YOGATHIS IS CALLED: PRANAYAMA. In this article I will tell you about the techniques of pranayama or breathing control that you can use in yoga. I put them in a useful order to practice in a yoga sequence. First of all : Ujjayi breathing or ” the powerful breath” and Kapalabathi or ” shining breath” because they give us energy, and warm up the body, so is best use them at the start of our practice. The other breathing techniques you can do after your asanas, and before meditation. When you do the Ujjayi breathing correctly, you must feel relax and stimulated. In the Yoga Sutra, PATANJALI suggests that breathing must be DIRGA (long) and SUKSMA (smooth). The Ujjayi breathing produce a characteristic sound, well modulated and relaxing, like the sound of the waves. What makes this sound is the gentle closing of the epiglottis and that creates some resistance when the air comes through. To obtain this, put gently your tongue on the roof of the mouth, and exhale like you want to steam up a mirror with your mouth close. The problem you can have, when you practice the Ujjayi breathing,is very simple: you force too much. The key you have to remember, when you are doing the Ujjayi breathing, is RELAX. We only have to make a small effort to produce a nice sound, but too much effort give a feeling of holding and a grating sound. To practice your inhalation focus on create a relax, nice and smooth sound and don’t force. Once you master the Ujjayi breathing in the seated position, you have to practice on keeping the same quality of breathing during the asanas.in your practice try to keep a long and smoothing sound as much as possible. Once you get the Ujjayi breathing without forcing (like, for example, in down facing dog), try to keep this quality of breathing on all you practice. The kapalabathi breathing or ” shining breath”. KAPALA means ” skull” and BATHI means ” shining, illuminating”. The name, in reality, is referred to the effect of clarifying the mind that this breathing thecnique has. We start to practice it for 1 minute, but slowly slowly, we have to add 1 minute every day until we reach 9 minutes. If you start to feel sick, go back to a normal, smooth breathing. 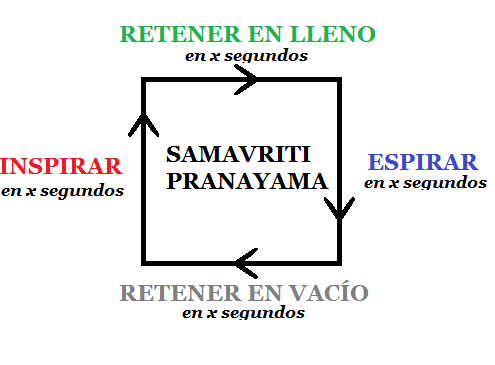 – cleans your body NADI( the energy channel) so the prana flows easier during the pranayama. – sit in an easy posture, with the right hand in MRIGI MUDRA, while the left hand is on top of the knee. – close gently your right nostril with the thumb,inhale with your left nostril, while with your ring finger and the little finger you close the left nostril, and slowly you exhale with the right nostril. – keep the right nostril open, inhale, close and open and slowly exhale with the left one. This is a cycle. 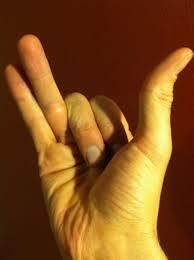 Repeat 3 to 5 times and then free the hand from the MUDRA and breath normally. Brahamari pranayama or “humming bee breath “. One of his principle effect, using the vibration of his sound (even if this can seem paradoxical) is obtain the internal silence. Brahamari is a practice that has the purpose to bring the practitioner to a meditative state that helps him to listen the sound of the internal silence: NADA ANUSANDANA. It is a basic practice of NADA YOGA, or the yoga of the sound. Listen the sound of our breathing is very regenerated. This pranayama calm down the emotions. It elimates angryness or anxiety because it brings us to connect with the rhythm of our body. His regular practice improves our well being. 1- choose any seated position, like easy pose, sukhasasa,the perfect posture, sidhasasana,the half lotus pose, ardha padmasana, or the full lotus, padmasana, or even seat in a chair. You can also seat on your ankles, with the knees bent. Close your eyes and relax for few minutes. 2- relax your elbows on your knees and close your ears with your fore finger, try to put, gently, the fingers inside your ears, until you can feel they are completely close. If you have long nail, it will be better if you press with your thumbs on your tragus ( the small pointed eminence of the external ear). If you choose this option, the fingers of your hand close your eyelids, without forcing. 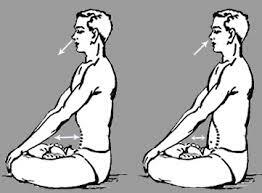 3-stretch your spine and the center of your heart( chakra anahata) has to feel open, don’t pull out your chest in an artificial way. Keep your shoulder, your face and your neck relax during the practice. Close your eyes and bring your attention inside, to your belly, to your heart, to your throat, and, in the end to your head. Slowly inhale until a comfortable fullness. When you exhale, do it slowly and smoothly by your nostrils, you have to produce a sound, that borns in your palate, like the sound produced by the bees. 4- keep, always, your mouth close, but the theeth are separated. Make this sound during the exhale, try to be steady with a moderate sound. You can experiment different level of sound until you find the one suitable for you. Once you get it, keep it as much time as you can. The exhalation, is more or less, 30 seconds long. Keep your attention to the buzzing. Keep focusing on the sound, feeling the vibrations that are produce in your mind, in your brain. Observe the vibrations on your face, on your throat, on your chest and on the rest of your body. 5- you notice that the exhalation become longer, now don’t hurry your inhale. Don’t rush the follow exhalation, instead, take your time to fill, slowly, your lungs with air. 6- after exhale, when you finish, continue stay seated in silence. Keep your eyes close. You will notice that the vibrations of the sound continue in your body for a long time. Don’t move any muscle, more you stay quite, more you will be able to observe. It said in HATHA YOGA PRADIPIKA ” with this practice you can become the king of the yogis and the mind is absorbed in this happiness”. The bhramani pranayama doesn’t present contraindications, but don’t force your lungs and don’t practice lay down. Inside a sequence of pranayama, you can practice bhramani after KAPALABATHI and NADI SHODHANA pranayama and just before meditation. 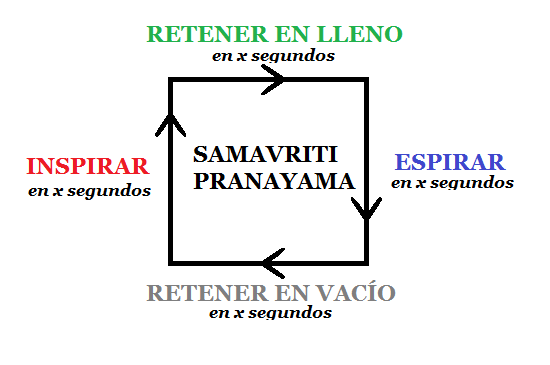 SAMA VRITTI pranayama or ” equal breathing”. SAMA is a sanscrit word that means” same, equal, smooth” and VRITTI means ” fluctuation,movement”. So the word is referred to a capacity of this breathing to smooth the fluctuation of the mind, using a regular breathing. The second chapter of yoga sutra of PATANJALI says ” yoga- chitta- vritti- nirodhah”: when you are in a state of yoga, all the fluctuation of the mind disappear. This thecnique improves the concentration, so it helps us to silence all the noises we have inside the mind. Inhale for a few seconds_ hold with full lungs for a few seconds_ exhale for e few seconds_ hold with empty lungs for a few seconds. Tranlated by Tania Piovan and Noelia Insa.